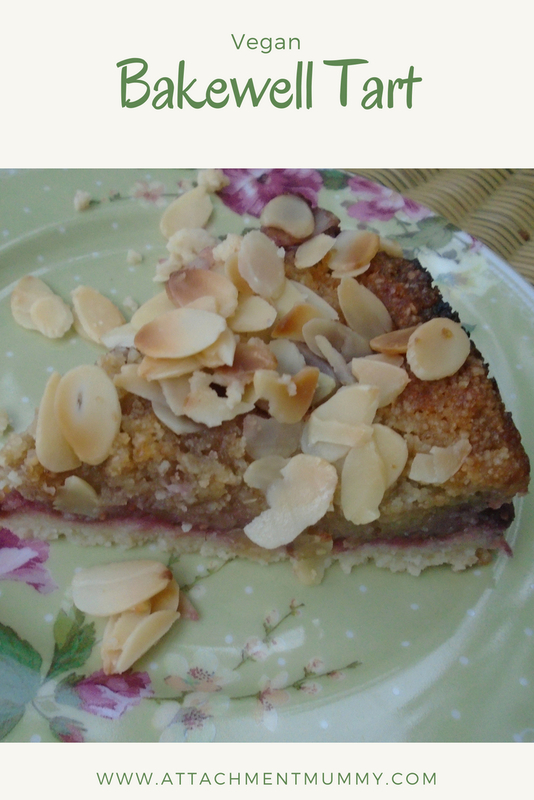 This traditional tart is still made with shortcrust pastry, a layer of jam and a layer of almond-flavoured frangipane, but with a coconuty vegan twist. This is our variation on a recipe by the Flynn brothers, the duo behind The Happy Pear phenomenon. It's best made the day before you want to serve it as it firms up nicely overnight. Store in a fridge if it's a hot day or you have a very warm kitchen. Try using blackberries instead of raspberries or a combination of the two for a twist on this classic. 1. Pre-heat the oven to 180C (160C fan). Line the base of a 23cm round spring-form cake tin. 2. Place the raspberries in a saucepan with 4 tbsp water and heat on medium until the fruit breaks down. Add the maple syrup and chia seeds then simmer for 6-8 minutes, stirring, to reduce and thicken the jam. 3. Meanwhile, mix the flax seeds with 4 tablespoons of cold water in a bowl. Set aside until it forms a beaten egg like consistency. 4. Remove the jam from the heat, transfer to a bowl, and put to one side to cool. 5. Put the flour into a mixing bowl and add the 75g of cold chopped coconut oil. Rub together until the mixture resembles fine breadcrumbs. 6. Add 3 tablespoons of cold water and press the dough into a ball. Wrap in cling film and chill in the fridge for 5 minutes. 7. Dust your hands with flour and shape the dough into a disk then press into the base of the cake tin to form a 1/2 cm thick layer. Don't take it up the sides of the tin. 8. Blind bake the base for 10 minutes (there is no need for baking paper or beads as the pastry won't rise). 9. Remove the base from the oven and allow to cool on a wire rack while you make the frangipane. 10. Melt the remaining 130g of coconut oil in a small pan if needed, and transfer to a bowl. Add the ground almonds, maple syrup, baking powder and flax egg, then mix to combine. 11. Spread the jam over the pastry base then gently spoon the frangipane on top, making sure to cover it all. Sprinkle over the flaked almonds and bake for 30 minutes until golden brown but still wobbly. 12. Leave to cool for 15 minutes before serving, but preferably overnight. Serve warm as a dessert with a vegan cream, ice cream or yogurt alternative, or in slices with a cup of tea. It will keep up to a week in an airtight container. OMG, this looks AMAZING! I'm definitely going to make it! 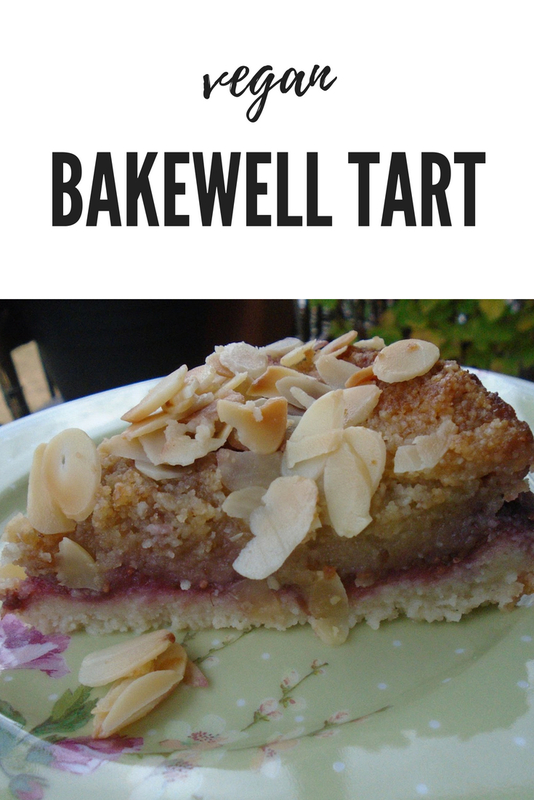 I love Bakewell tarts... This look stunning and better than the ones you see in the shops!